Bio-med has adopted high quality standards in all operations, testing procedures and reporting .Our Quality Management System ensures that every product manufactured and marketed by us comply with cGMP standards. To maintain quality our company has well defined and documented procedure and systems which are strictly complied with. Bio-Med is a GMP & ISO 9001:2015, ISO 14001:2004 Certified Company. The quality standards are monitored regularly using an internal auditing, scheme and also facilities are audited regularly by WHO recognised Indian FDA for compliances of regulatory requirements. Bio-Med’s Quality Assurance Department ensures that the Quality Management system is being strictly complied with by all the departments. Quality Control at Bio-Med has always been an area of high priority. Bio-Med has set up a quality control system that is reviewed and updated on a continuous basis. Quality involves all aspects of manufacturing process, starting from the raw material stage to the finished product. The manufactured vaccines undergo detailed tests and analysis as per standard procedures Pharmacopoeia I.P/ W.H.O. TRS/ Ph Euro for each product, before they are released into the market. 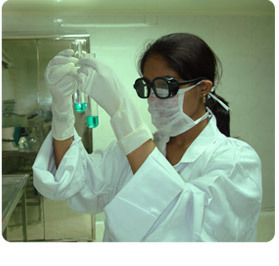 At Bio-Med quality control arrangements are effective and reliably carried out. Bio-Med believes in producing vaccines of consistent quality by doing things right first time and every time. Our Quality Control department never compromises when it comes to the quality of the product and continuously works towards producing vaccines which are safe, effective and of high quality.